Anuar Patjane Floriuk conveys his immense love for the ocean by giving us a glimpse of the rich and abundant life that thrives in its depth. When I was 17 years old, my mother, a marine biologist and diver herself, suggested that I learn diving. Soon after, I was hooked. But it was on a trip to the Galápagos Islands, a few years ago, that I used an underwater housing for my compact camera, and discovered the possibilities of underwater photography. When I dive into the ocean, all the chaos from the world above slowly melts away, and in place of it, is the soft, soothing humming of the water. So even if I have to return home with no images, I don’t feel like I have wasted my time. The fact that I have yet again had the chance to experience something sublime, is a feeling that is irreplaceable. My diving gear is usually packed and ready. However, if I am traveling to a remote location like Antarctica, I not only have to train for the extremely cold weather, but I also need to reassess my camera gear. 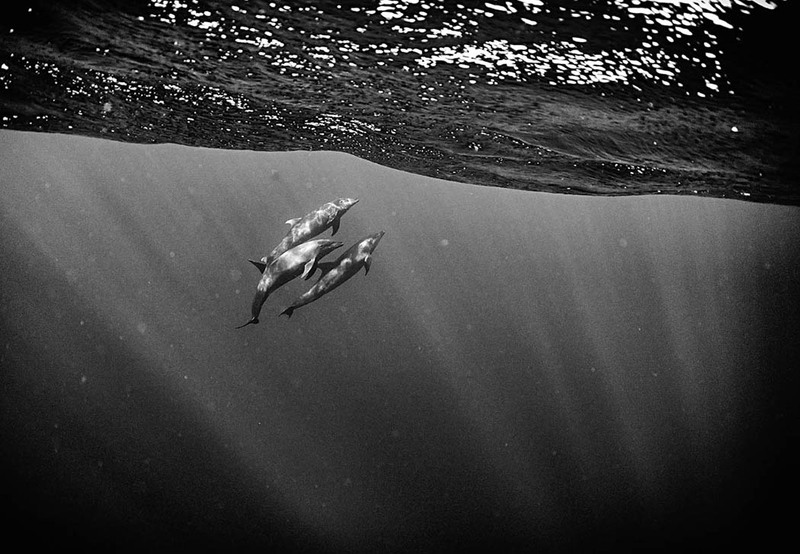 My pictures are not only a depiction of my love for the deep blue. I also want to make people aware of the rich marine life that they’re robbing the ocean of. I think it’s easier to care when we see the effects of deforestation. But since we cannot view the ocean’s habitat, it becomes hard to fathom and gauge how our consumption is affecting its ecosystem. We need to change this. 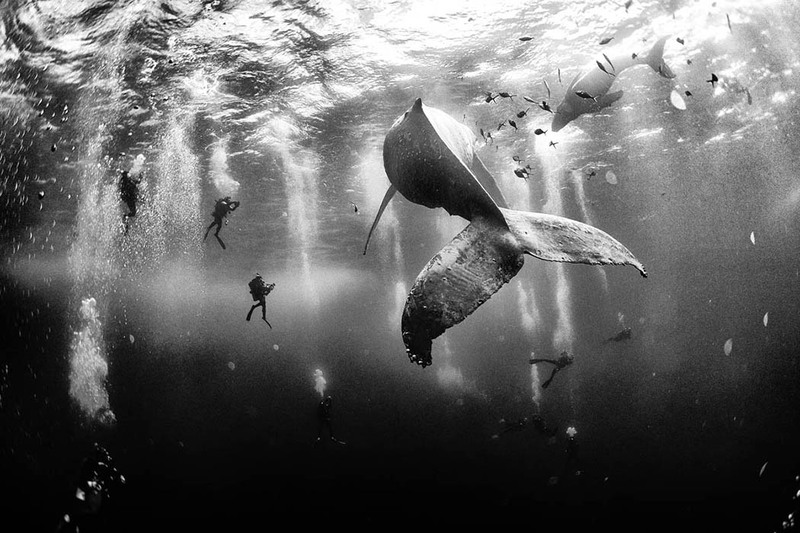 Underwater photography is an extension to land photography. The same rules apply, and the same can be broken. I have been often criticised for diving too close to the whales. I think we misjudge animals and their need to be left alone. It’s only with experience that we learn that they don’t mind our company, as long as we’re empathetic to the surroundings and wait for a long time, for them to get used to our presence.